Watch the video to discover the 3 possible reasons for your wrong conclusion about your friend’s English. 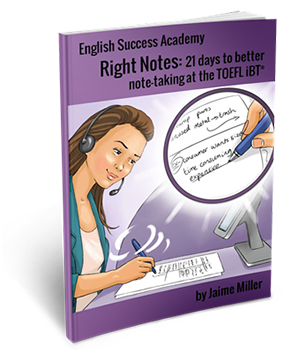 If you’re ready to focus on yourself and systematically improve your grammar, vocabulary and accent so that your English is amazing at TOEFL iBT… and beyond (in your career and daily communication), it is time for you to learn about The ESA Method. 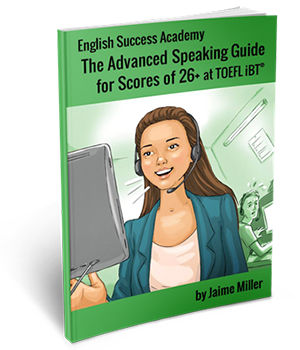 Do you have a friend who’s already gotten speaking scores of 26 or writing scores of 24 on TOEFL iBT and you’re super confused, because your friend actually has bad English? And when you listen to your friend maybe you hear grammar mistakes or vocabulary mistakes or accent mistakes, and you’re super confused and frustrated – how did that friend of yours get the speaking scores and why is it that you’re still stuck? My name is Jamie Miller, and I’ve been helping pharmacists and physical therapists get speaking scores of 26 since 2010. 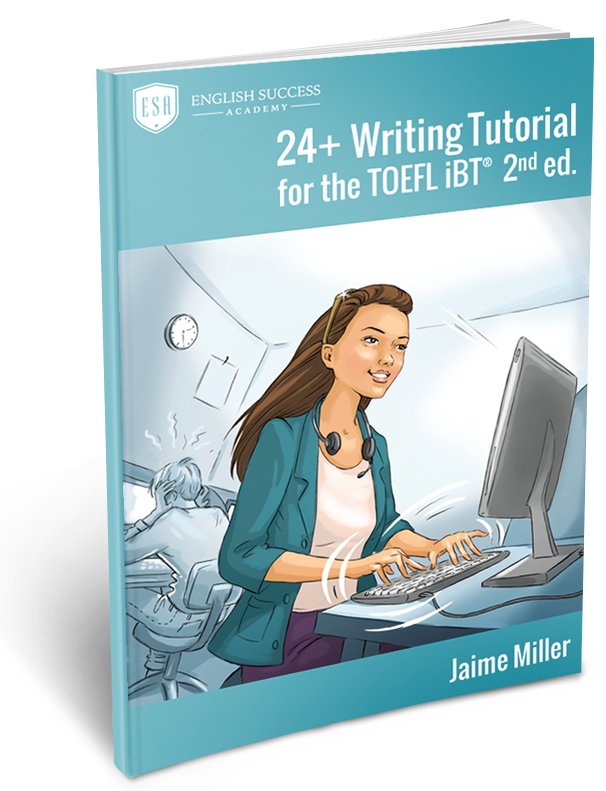 I’ve met a lot of people who were studying for TOEFL in my time, and today I want to give you an overview of the three reasons that I see why people reach the level of a speaking score or writing score of 24, and then they fall back. And this is one of the reasons that you may feel like your friend shouldn’t have passed the exam or like why it can be so confusing when somebody reaches the scores, but then later it seems like they have bad English. What’s going on with that? Well, in my experience there can be a few things that cause this, first of all and the first possible reason is that everybody has good language days and bad language days. I lived in Turkey for seven years, I learned Turkish to an intermediate level while I was there, and even in my seventh final year of living in Turkey there were some days where I was really tired, didn’t feel great, or I just had low self-esteem, I had low confidence that day for whatever reason. And even simple conversations that I had regularly that we’re familiar with vocabulary that I knew; even those kinds of conversations could be difficult for me to be accurate in when I was having a bad language day. And so it’s possible that your friend went a TOEFL on a good language day and you talked to your friend on a bad language day. That’s one possible reason. Another possible reason is simply that your friend may not be trying to speak with you at a really high level, maybe your friend who already passed the exam doesn’t care about using great or high-level English with you. Maybe they’re not putting effort into their communication with you. I don’t remember where it was, but a while ago I saw about a research study with second language learners and the impact of who they were talking to, who their listener was. And it was interesting because in this research study they discovered that second language learners put more effort into communicating with native speakers than they do to communicating with non-native speakers or people who are learning English as a second language as well. So it’s possible that this kind of like psychological approach to it means that your friend just isn’t trying with you. They may not be showing you their best English, they may not be putting their effort into it, and so that may create a kind of warped perception of what your friend’s level of English actually is like. 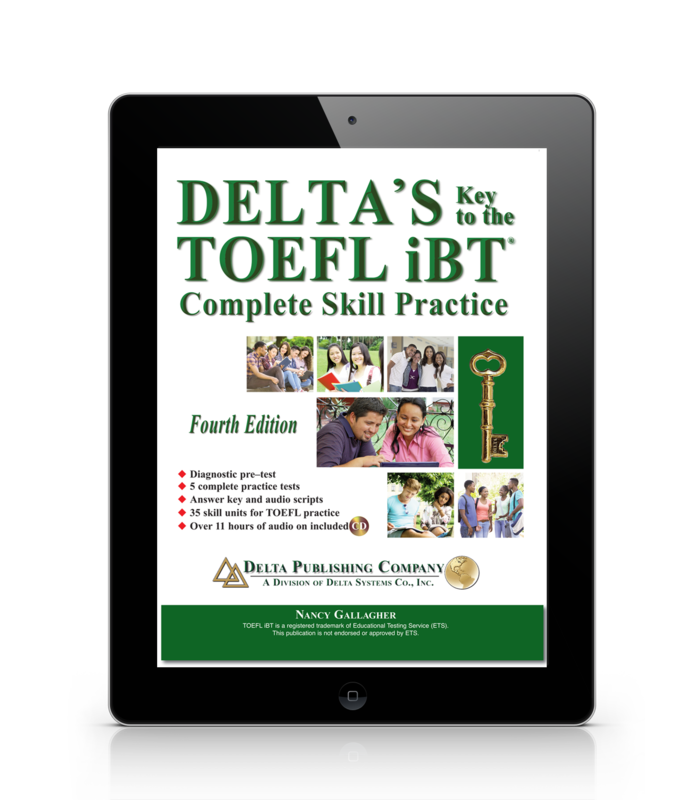 The third reason that your friend may have already passed TOEFL is because of something called stages of learning, and I am going to show you a couple things here – when you start following my program, the 12 essential steps, and if we continue in private lessons I would send you your own learning kit, your binder for the ESA Methods to get us 26. And one of the things that’s in there is this page. Because you’re an adult learner and because you’re already so good at so many things there will be days and moments when you think that there’s something wrong with you, because you still make some mistakes with remembering an important concept. On those days and in those moments it’ll be extremely useful for you to consider the following model – you need to allow yourself time and enough meaningful practice opportunities to go through the following stages. This model was developed in the 1970s by Noel Burch at Gordon Training International. It was initially described as four stages for learning any new skill. And you’ll probably recognize that this is what happens for you when you’re learning English for TOEFL iBT or in general. Stage 1 is where you’re making unconscious mistakes with something. You don’t know that you’re making the mistake; you don’t even realize that you write it incorrectly, you don’t even realize that you say it incorrectly. You just don’t know in stage 1. In stage 3 you develop conscious accuracy. You’re right and you know that you’re right, but this takes effort. It’s not easy or particularly automatic at this point. You have to work for this stage of accuracy. With enough time and practice and I’m talking about weeks and sometimes even months, you can develop unconscious accuracy. At this level your behavior or your habit or your routine becomes automatic; you don’t have to think about it, it just comes out automatically accurately. So here’s the thing, your friend climbed from the speaking score they had before. 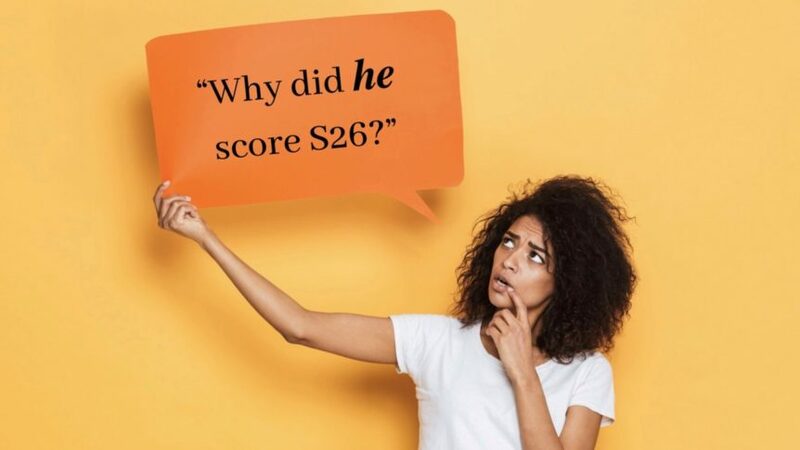 Your friend got a speaking score of 26. If we imagine that your friend had to go up these stages – one, two, three, and four it’s possible that when your friend took the TOEFL Test and they got their score of speaking 26 they may have been at stage 3, where they were consciously accurate, trying really hard, putting a lot of effort into getting that speaking score of 23. But that doesn’t mean that they had gotten to the point of having unconscious accuracy with something. This usually can take … typically it takes like months to get to that point. So if your friend got to the speaking score of 26 or the writing score of 24, they may have been at stage 3 of the learning process where they had to work really hard, focus really hard in order to be accurate, and for the six minutes of the TOEFL Speaking Test or the 50 minutes of the TOEFL Writing Test they were able to stay focused enough that they could get through it. But after they walked out of the test center they let everything go, they slid back down, maybe even going back to level 2 or level 1 with their accuracy, reverting to certain things that they didn’t know about, and then when they got their scores 10 days later they were so relieved that they just stopped trying. And that’s what I see happen with a lot of people, so like I said it could be a combination of your friend having a good or a bad day with language, not really caring enough to use their best English with you, and the fact that at the test maybe they were only at stage 3. I hope that this helps. I think it’s really important to understand that we need to be compassionate with ourselves as adult second language learners. And if you are ready to focus on yourself and figure out what the gaps are and what the distance is between you and your target scores of 26 or writing scores of 24, I hope that you’ll get in touch with me. I’ve put my website below, you can visit me in englishsuccessacademy.com, and I hope that you’ll learn more about my 12 essential topics and how we can help you get your speaking scores so that you can be proud of your English at TOEFL and in the rest of your life if you decide to keep using the things that I teach you in our class and developing level 4 unconscious accuracy with those things. Have a great day.